On Wednesday, “Justice League” star Ben Affleck reportedly entered rehab for alcohol addiction. This is not Affleck’s first attempt to get clean. Indeed, the 46-year-old father of three has been public about his ongoing struggle with substance abuse, previously seeking treatment in 2001 and 2017. 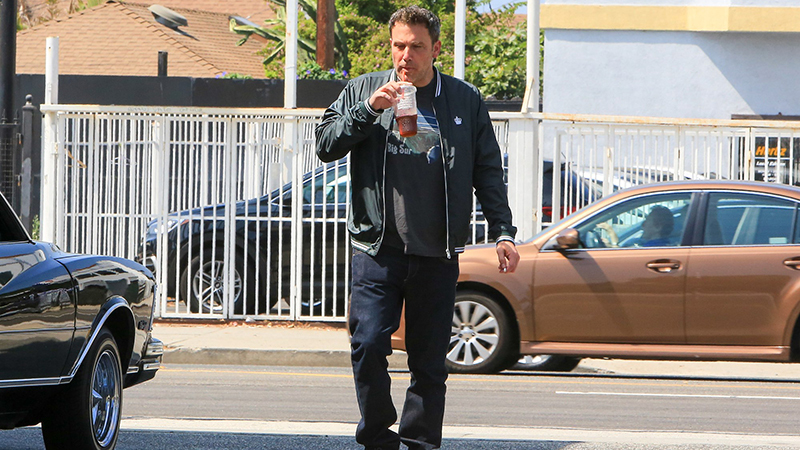 Affleck is at least the second high-profile celebrity relapse this summer. Earlier this spring, pop star Demi Lovato tweeted: “Just officially turned 6 years sober. So grateful for another year of joy, health and happiness. It IS possible.” In June, she released her single “Sober,” which seemed to describe a relapse (“We’ve been down this road before/I’m so sorry, I’m not sober anymore”) — a few weeks later, she was hospitalized after a suspected overdose. It’s a problem that’s all too common. Substance use disorder (more commonly known as “drug addiction”) is a never-ending battle. No matter the substance that is being abused, there is no shortcut or magic cure. Broadly speaking, addiction has become a worldwide health epidemic. This should come as no surprise. According to the World Drug Report (2017), nearly a quarter of a billion people reported using an illicit drug in the past year, with 29.5 million people meeting the Diagnostic and Statistical Manual of Mental Disorders (DSM-5) criteria for substance use disorder. Although social stereotypes continue to label addiction as a “choice,” drug use disorder is medical disease that has a biological basis with influences from the environment. The unending nature of addiction has led to the common phrase used in support groups: “once an addict, always an addict.” To truly understand this phrase, though, we have to understand the neurobiological basis for it. Relapses are a result of the brain’s reward circuit rewiring after exposure to addictive drugs. Alterations in these regions lead to monumental transformations in an individual’s perception of rewards (such as drugs, food and social interactions) and motivation. For most people, prioritizing rewards and motivation is relatively easy, so much so that it is often taken for granted. But for an individual with drug use disorder, their brain has been so hijacked by drug exposure that it now evaluates decisions through the lens of how to obtain the next high or the next drink. Relapses are a result of the brain’s reward circuit rewiring after exposure to addictive drugs. Alterations in these regions lead to monumental transformations in an individual’s perception of rewards and motivation. So, what can be done? The scientific community is still devoting considerable time and effort to understanding the basis of addiction. There have been great strides in unraveling contributing factors at the cellular level, and yet, our limited comprehension of addiction has led to ineffective treatment methods. Worldwide, for example, recorded overdoses have tripled between 2002 to 2015. One of the most common current therapies is drug rehabilitation, which aims to provide environments that encourage drug abstinence, and often includes counseling and medication for depression or other disorders. Unfortunately, at some point, individuals must enter back into the real world, where they are once again exposed to environmental cues (such as people and places) that can provoke cravings. Relapses of all kinds can also be triggered by things like stress. Replacement/management therapy is another commonly used treatment method for opioid use disorder that involves replacing an opioid, such as heroin, with a less euphoric and longer acting opioid, such as buprenorphine.